Transformations can be slow, but they can be life changing. 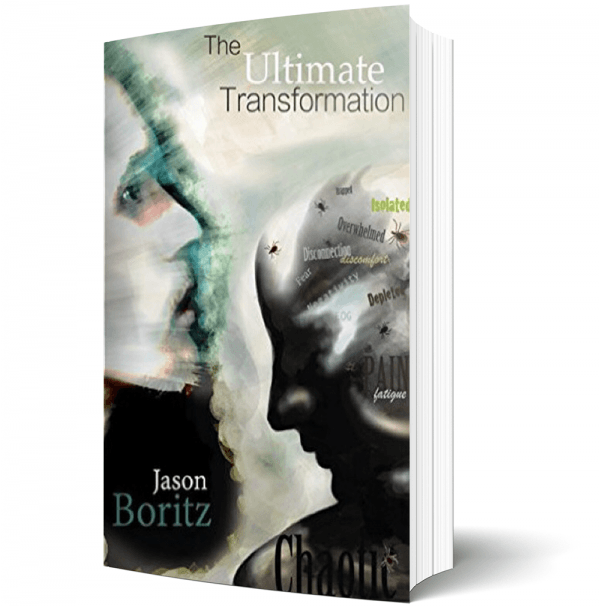 The Ultimate Transformation, follows Begnosis Founder, Jason Boritz’s journey through Lyme Disease, and the trials and tribulations he went through. It takes you from the day his life changed one day out of the blue to the day he started to transform and heal. It takes you through the chaos, the disorientation, the isolation, the fear, the intense emotions, the pain, the frustration and the roller coaster ride which is Lyme Disease. Lyme Disease is a complex and very scary disease. It’s essentially the worst physical symptom of every disease and every bad horrible emotion all rolled into one. It is unpredictable and plays tricks on you to think you are progressing and then two days later, you feel you are back where you started. It takes over your body, your mind and your soul and you literally feel like a different person every day. The goal of this downloadable book is to not only help you transform and overcome any challenge in your life but to also raise awareness about Lyme Disease and give you a detailed day in and day out journey of what it is like to live with Lyme Disease and go through it.